ST. PETERSBURG, January 21. /TASS/. The Russian Navy has no plans to stop the construction of Lada-class non-nuclear submarines, Navy Deputy Commander-in-Chief, Vice-Admiral Alexander Fedotenkov said on Thursday. “Following the results of the operational testing of the Kronstadt and Velikiye Luki submarines, the Navy will determine its further quantitative need for the Project 677 Lada. The termination of these submarines’ construction is not being considered at present,” he said. As some media sources reported earlier, the Navy’s financing will be focused on the Kalina project after the Kronstadt and Velikiye Luki submarines, while the construction of Project 677 Lada-class diesel electric submarines would be terminated. 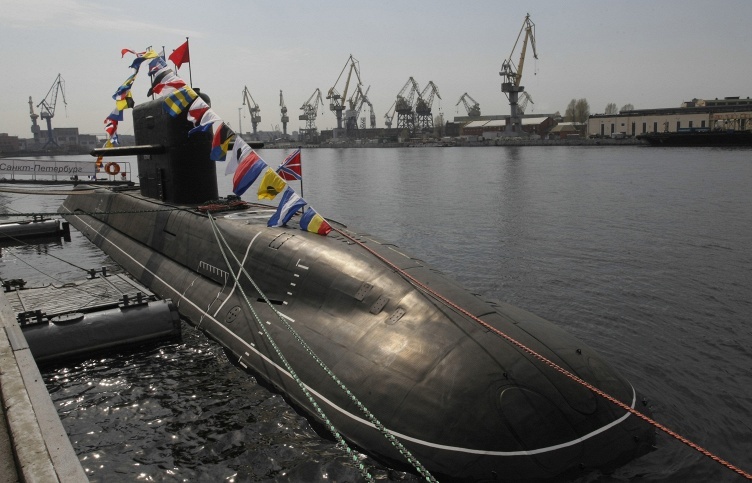 This year, the diesel electric submarines Veliky Novgorod and Kolpino completing the Project 636.3 series will be put afloat and transferred to the Black Sea Fleet. Read also Several countries wish to order non-nuclear submarines from Russia — shipyards Russia’s Admiralty Wharves Shipyard to build 7 submarines, one ice-breaker by 2018 The construction of two Lada-class submarines continues at the Admiralty Wharves shipyard in St. Petersburg in northwest Russia: the Kronstadt is at the stage of equipment assembly and the preparation for welding the single hull while the Velikiye Luki is at the stage of forming compartments and preparing for hydraulic tests.